Two players from the Tigers women’s soccer squad were named to the AUS all-star second team. Kristy McGregor-Bales (Ottawa, ON) picked up the honour in her fifth and final year with the Tigers. She was a first team all-star last season and had a tremendous career anchoring the back line for the Tigers on the pitch and led the team with 3 goals this season. Victoria Parkinson (Halifax, NS), playing in her fourth season with the Tigers, was also named to the team after being a first team member last season. She scored one goal this year, a number that easily could have been much higher as she hit a number of posts throughout the season. 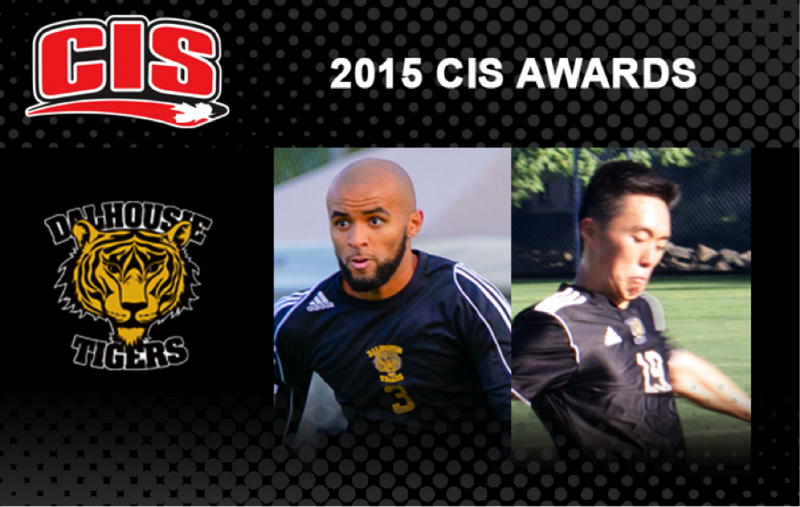 Several of the men’s soccer Tigers were credited for their strong performances on the pitch in 2015. Bezick Evraire (Ottawa, ON), a fifth-year Tiger, was named to the AUS all-star first team and the CIS all-Canadian second team after scoring 10 goals on the season. The 10 markers were good for second in the AUS. Evraire dazzled Tigers fans with his deft scoring touch for the last five seasons. Mark Hagen (Calgary, AB), the captain of the Tigers squad, was named to the AUS all-star second team in his fifth and final season with the team. He was a tremendous defender and leader for the Tigers throughout his career, while also facilitating wing rushes that set up his teammates with quality opportunities at goal. Johnny Doucett (Dartmouth, N.S), playing in his third season with the Tigers, was named to the AUS all-star second team. Another defender with the ability to push the ball up the wing, he finished the season with one goal. Doucett will be relied upon heavily by the Tigers for leadership next season, as much of the team’s core will not be back next year. Sangmuk Choi (Anyang, Korea) won the 2015 AUS student-athlete community service award. Choi was also given the CIS award.